What are the rules for Veterans individual unemployability? Learn what "individual unemployability" is and how it can affect your disability benefits claim here. A traumatic brain injury (TBI) is often called the “signature wound” of military personnel returning from the Iraq and Afghanistan wars. Service members deployed to these locations are at an increased risk of exposure to blasts from improvised explosive devices (IEDs) and are especially vulnerable to land mines, mortar rounds, rocket-propelled grenades, and suicide bombers. All of these explosives have the power to cause severe injuries, including TBIs. Over 250,000 veterans from these wars were diagnosed with a TBI. When a person experiences a violent blow to the head or an outside object pierces the skull into the brain, he can suffer an injury that causes brain dysfunction. The quick back-and-forth motion of the brain inside the skull may lead to a mild trauma with only temporary dysfunction; however, a more serious head trauma may cause the brain to swell, bruise, or bleed. In these cases, there may be long-term problems or even death. A TBI on its own can be a serious and damaging, but research is now finding evidence that it may be linked to other conditions, including Alzheimer’s Disease—the most common form of dementia. While many studies have been inconclusive about this connection, a 2014 study published in Neurology found a possible link between TBIs and the development of dementia after researching a group of older veterans. Research has shown that some professional athletes are at an increased risk of developing dementia as they age due the many blows to the head they experience. Although inconclusive, some studies suggest that a head trauma may increase the chance of dementia later in life. However, in a new study by researchers at the University of California-San Francisco and the San Francisco Veterans Affairs Medical Center, records of over 188,500 veterans age 55 and older were reviewed. Of those veterans, over 1,200 had suffered a TBI. In early 2000, these veterans had been examined at a U.S. Department of Veterans Affairs (VA) medical facility and at least one additional time since then. None of the veterans had dementia at the beginning of the study; however, by the end of the study, 16 percent had developed dementia compared to just 10 percent of those veterans who had not experienced a TBI. Additionally, the study found that those veterans who had experienced a TBI and developed dementia did so two years earlier than those who had not had a brain injury. And those who did suffer a TBI, but did not develop dementia, died over two years earlier than those veterans who had not been diagnosed with a TBI. The study considered other factors that are known to elevate the risk of dementia, including high blood pressure, diabetes, and alcoholism. Researchers concluded that veterans were 60 percent more likely to develop dementia if they had suffered a TBI. While it’s not entirely clear why people with head injuries are more likely to develop dementia, some findings suggest that a TBI leads to the development of plaques—the same kind that are often seen in those with Alzheimer’s. Plaques are abnormal groups or clusters of “chemically sticky proteins” called beta-amyloid. These proteins build up between nerve cells, and it’s possible for these clumps to block signals in the brain. Additionally, studies show that the plaques in those with TBIs can be found in the same areas of the brain as those who suffer from Alzheimer’s. It’s possible that a TBI could lead to the development of these brain plaques that ultimately lead to or cause dementia. In 2014, the VA implemented a new rule making it easier for veterans who suffered a TBI to receive disability benefits if they also have a related secondary condition. 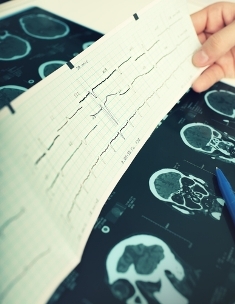 The VA recognized five new diseases to be presumed service-connected to TBIs, and one of them was certain types of dementias. If a veteran is diagnosed within 15 years after suffering a moderate or severe TBI, the dementia is considered service related. If you’re a veteran who suffered from a TBI and is now developing or living with dementia, you are likely eligible for VA disability benefits. However, we know that finding the right kind of help isn’t always easy. At Cuddigan Law, we understand the rules and restrictions that govern disability for TBIs. We know that TBI disability cases are challenging, but we also know it’s possible to win them. Call us at (402) 933-5405 for a free evaluation of your case.